Remember how I mentioned last week I had some BIG news to share? Well, now is the perfect time to actually come out and say it; I’m writing a new comic! Take a gander to the right of the comic, and you’ll see a banner for my newest project, Geek Life. I’ve teamed with Aaron Mocksing, a very talented artist, to bring this newest strip to life. 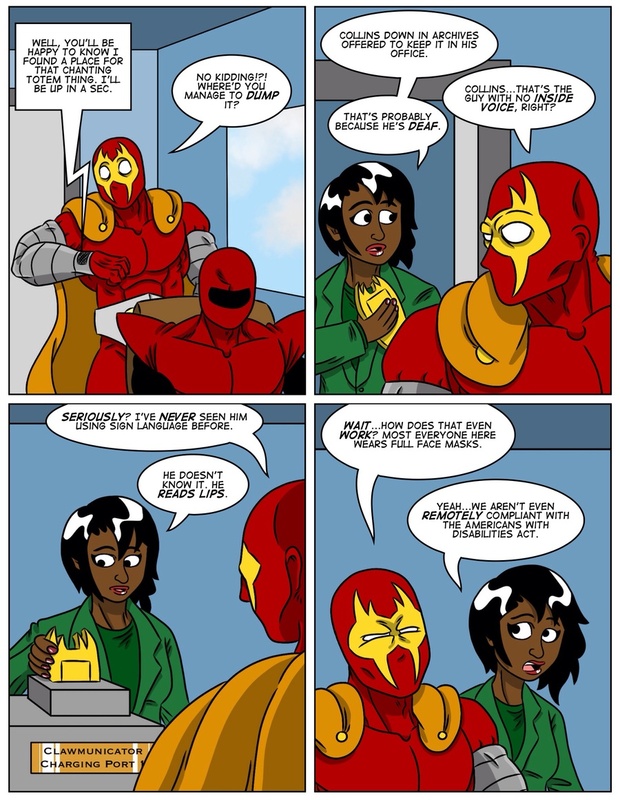 Aaron is the creator of the anthro comic Keeping Up with Thursday, and this is actually the first project he’s worked on drawing a human cast. I think he’s done a fine job, too. Those expressions rock! Geek Life is the story of a group of friends burned by the crooked local comic shop owner, and they decide to take action to bring him down and save the local geek community from the shameless rip-off artist. It’ll update the same days as Supervillainous, so you can get your fix every Monday and Friday. That’s twice the Zappit every week for the same low price of nothing! You can leave comments by clicking here, leave a trackback at http://supervillainous.spiderforest.com/comic/the-crimson-claw-and-the-ada/trackback/ or subscibe to the RSS Comments Feed for this post. …and the ADA. That is priceless. And the Clawmunicator…HA!